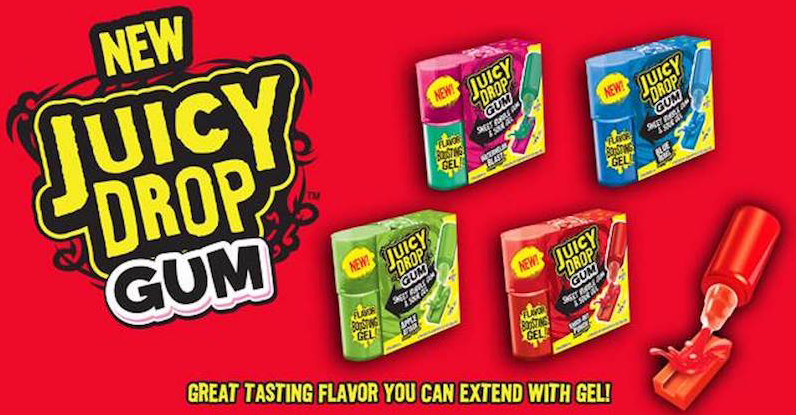 7 Kids and Us: Extend the Life of Your Gum with Juicy Drop Gum by Bazooka! Extend the Life of Your Gum with Juicy Drop Gum by Bazooka! It's always a bummer when the flavor runs out in your gum. It's so bad for me, that I gag if there is no flavor left. It's weird. I know. I was really excited to try the new Juicy Drop Gum exactly for that reason! The kids and I really enjoyed the gum! We like the Watermelon Blast the best (all of us!) I like that whenever I feel a drop in flavor, I can just add a few more squeezes of the flavor blast and it's like a whole new piece of gum again!